My filament kept catching on the starting connector of my Bowden tube. So I got a pack of dollar-store cheap pencil sharpeners to try. Nope. Way too big. So I modeled my own in SketchUp and printed my own to fit the blade they use. Works--after a third revision. Slice the STL at .2mm layer height to your printer's needs. Get a pack of cheap pencil sharpeners from a dollar store or their ilk. Using a small phillips scewdriver, remove the screw holding the blade and CAREFULLY take out the blade. 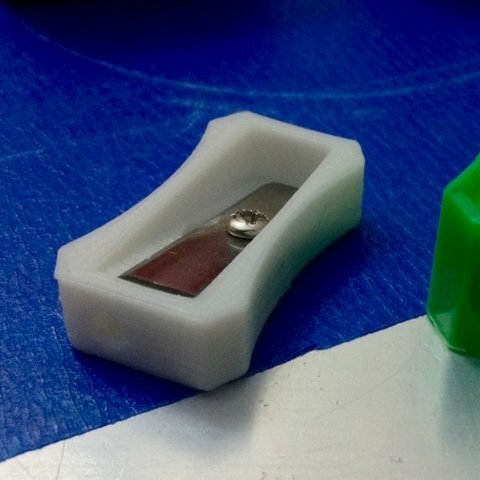 Put the blade in your printed sharpener with the business end over the angled hole. Attach blade with screw form old sharpener. 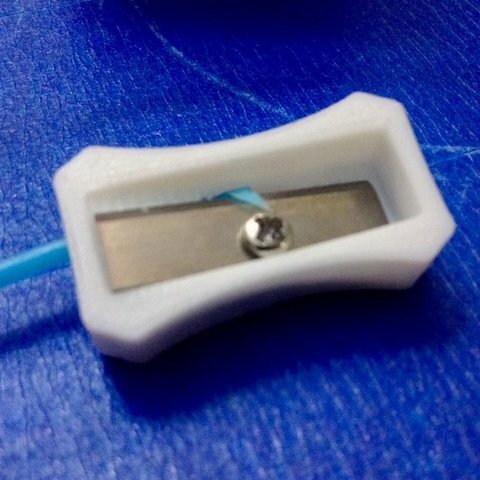 Place sharpener over 1.75 mm filament end. Hold filament firmly and rotate sharpener. Don't push too hard. Let the tool do the work.